Android is the most powerful technology in recent days. Many mobile phones, tablet pc and other devices are developed with this innovate technology because it supports multiple numbers of applications. Android device works as a micro storage device by which you can take pictures, record videos and store other data. But data may be lost due to several reasons like accidental deletion, unexpected formatting, improper operation or other reason. If you have lost data from android device, don’t panic android data recovery software will help you to recover lost or deleted data from various kinds of android technology based devices. Android data recovery software recovers lost music files, documents, pictures, wallpapers and other precious data from your different types of android technology based devices. Download and install android data recovery software. Connect your android device from PC with the help of USB Data capable. Select the disk from which you want to search and recover your lost data. Drive is scanned for lost file and folders. Helps to get back lost photos, videos, audios, and other data from formatted android devices. 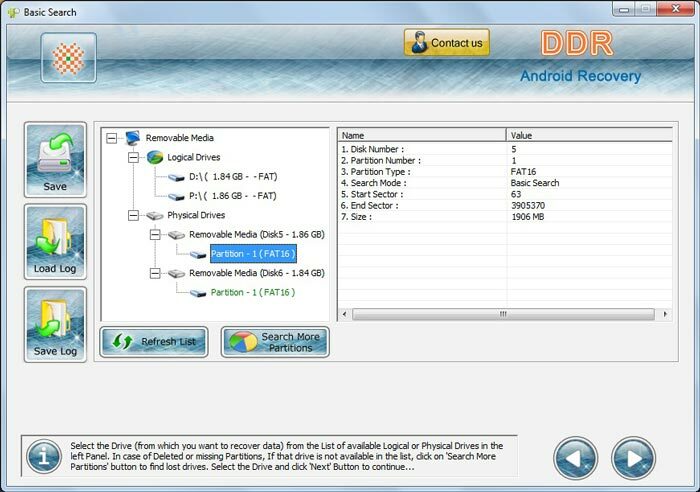 Uses inbuilt disk scanning mechanism for searching and recovering lost data from android devices. Supports data recovery from all android technology based devices.